has been fulfilling her duties as the President of PASMI’s Management Board since June 2010. She has worked in the pharmaceutical industry since 1995. She is an expert in the field of regulatory and legal environment with particular emphasis on the creation and implementation of regulatory strategy as part of the marketing strategy and sales. 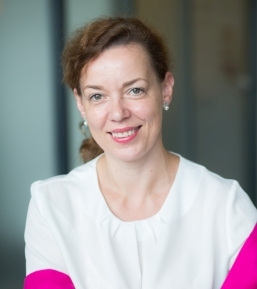 At USP Zdrowie as Regulatory Director, she is responsible for the work of Registration Department, Implementation Department, Department of Medicine in the field of pharmacovigilance – PHV, clinical trials and refund. He is also editor of the magazine ,,Stworzony dla farmaceuty”. 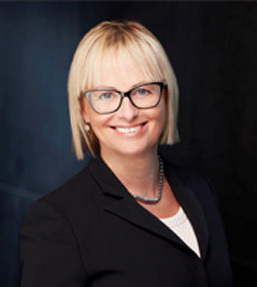 Her professional experience includes both drugs Rx and OTC, food supplements and medical devices, with special emphasis on issues related to the development, production, introduction of these products and labelling and advertising. Since June of 2010 she is the Chairman of the Board of PASMI building the position of the organization in the industry and environment, both at national and EU level. He is a member of the Team for the Pharmaceutical Industry Competitiveness appointed by the Prime Minister Mateusz Morawiecki at the Ministry of Development. has been a Member of PASMI’s Management Board since June 2012. She has over 25 years of professional experience gained in reputable pharmaceutical corporations. For last 15 years she has been working for GlaxoSmithKline Consumer Healthcare, where she plays a role of Regulatory and External Relations Director. Her area of ​​responsibility includes both Poland as the Baltic countries. 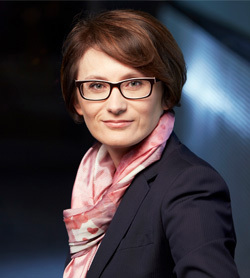 Malgorzata is also a member of the GSK CH Management Team for this region. She deals with external relations and registration issues concerning a wide range of products: OTC medicines, medical devices, food supplements and cosmetics. She also supports the development of communication strategy, evaluates and approves advertising. She was active in the first European centralised procedure of Rx to OTC switch. In the past she also led the Medical/PV and Quality Departments. She has a PhD in natural sciences (biochemistry, human physiology). In PASMI she especially supports issues related to protection patients rights to reliable, understandable information on medicinal products and the promotion of responsible self-medication. Her priority is to increase the availability of medicinal products for patients and the safety of medicines usage. has many years of experience in the pharmaceutical industry, with which she has been associated since 1999. She is an expert in the field of regulatory and legal environment, with particular emphasis on the creation and implementation of regulatory strategy, introducing new products to the market, regulatory oversight of products’ communication. Her experience covers a wide range of products: medicinal products available on prescription and OTC medicinal products, food supplements and cosmetics. She specializes in the Polish and other EU countries. She has also been involved in regulatory projects in Russia, Ukraine, Kazakhstan and Turkey. Since 2010 in Sanofi she is responsible for Regulatory Affairs within the Business Unit Consumer Healthcare. Currently, in the position of CHC Regulatory Head she is responsible for broad product portfolio including brands such as No-spa®, Essentiale Forte®, MagneB6® and Emolium®. She is involved in projects related to pharmacovigilance, cosmetovigilance, clinical research and medical information. She also participates in regional and global projects related to new products development. She represents Sanofi in other industry associations PZPK (Polish Union of Cosmetics Industry, a member of Cosmetics Europe). In PASMI she is particularly involved in projects relating to the regulation of advertising of OTC drugs and food supplements, umbrella branding and non-pharmacy sales.